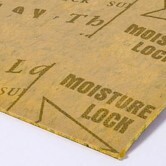 Our range of standard laminate underlay can be used with any of our laminate flooring. 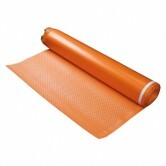 The underlay will act as a cushion between your new laminate floor and your existing subfloor. The laminate flooring can be easily clicked together and floated over the underlay. 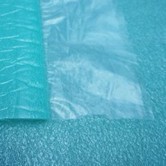 Standard underlay is available in different varieties and for different uses. 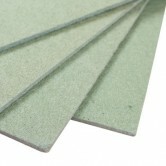 Think about what you want to use it for, such as soundproofing, thermal resistance or with underfloor heating. We have all options covered. Why choose standard laminate underlay? 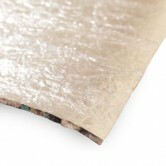 Standard laminate underlay is great for any type of laminate flooring. When selecting your underlay, it is very important to remember that the thickness or colour of the underlay does not make any difference to its performance. If you want sound proofing qualities then you will need to look for the decibel ratings. For thermal insulation you will need to check the tog rating. 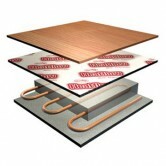 If you are using underfloor heating, you should select an underlay specifically designed for underfloor heating. For more detailed information and advice about underlays, see our Guide to Underlay. If you are unsure how to use the underlay correctly or how to begin fitting your laminate floor, please contact us. We also have an Installation and Fitting Guide, which has a section on fitting floors with underlay. If you would like any technical advice about which flooring accessories you may need to fit your floor correctly, please either visit our showroom or contact the sales office. We will be happy to answer any questions you have and offer our professional advice.